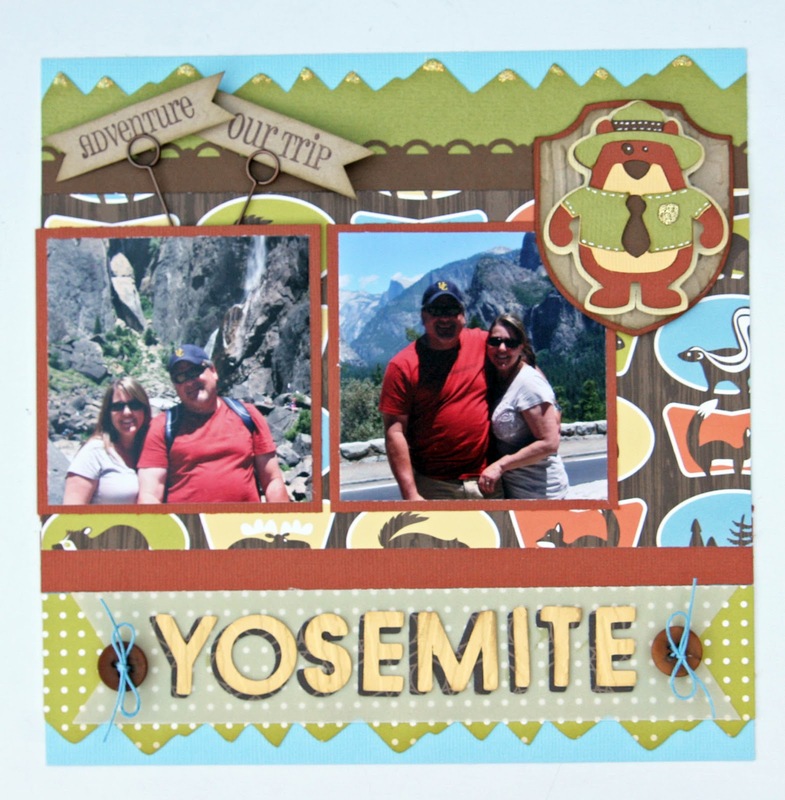 Liz's Paper Loft: Yosemite Layout and Special Treat For You! 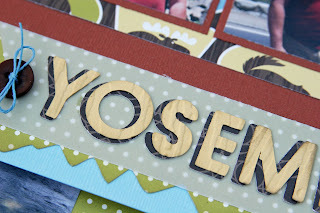 Oh Happy Friday Paper Lovers! I am SOOO glad it's Friday! How about you? We've had a bit of a cool spell this past week. Only in the 80's, however, this weekend it's suppose to get HOT again! Thank goodness our pool will back in working order tomorrow. We unexpectedly had to have some major work done :( I'll post some before and after pictures next week. I'm hoping that with this remodel, I'll be using it more frequently! Now that I've bored you with my stuff, I have a special treat for you. My Creative Time is having a Customer Appreciation Sale! So be sure to use the code "THANKU" to get 20% off your entire purchase. Emma just wanted to say thank you for all the prayers and well wishes for her son and family! I also wanted to share a layout of my trip to Yosemite! Can you believe I just went last week for the first time and I already have a layout completed?! I added a bit of stickles to the mountains and to the bear's badge. I just need to add the journaling! 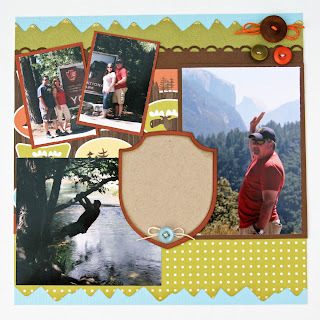 I ran the badge and the letters through the embossing folder. Last but not least, I've just added some new products to my Boutique! What a GREAT LO Liz!!! I love all the details you added!!! TFS and Happy Friday!! Hope you have a GREAT weekend! Liz, this is ADORABLE! 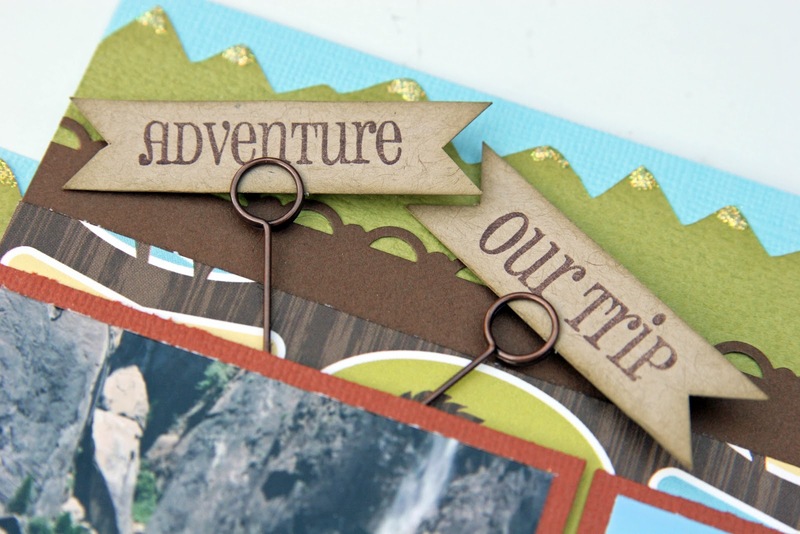 I don't know, I think you might be getting a little Jana inspired too! I love all of the layers and elements! Liz ~ OH my thse layouts are just FABULOUS! 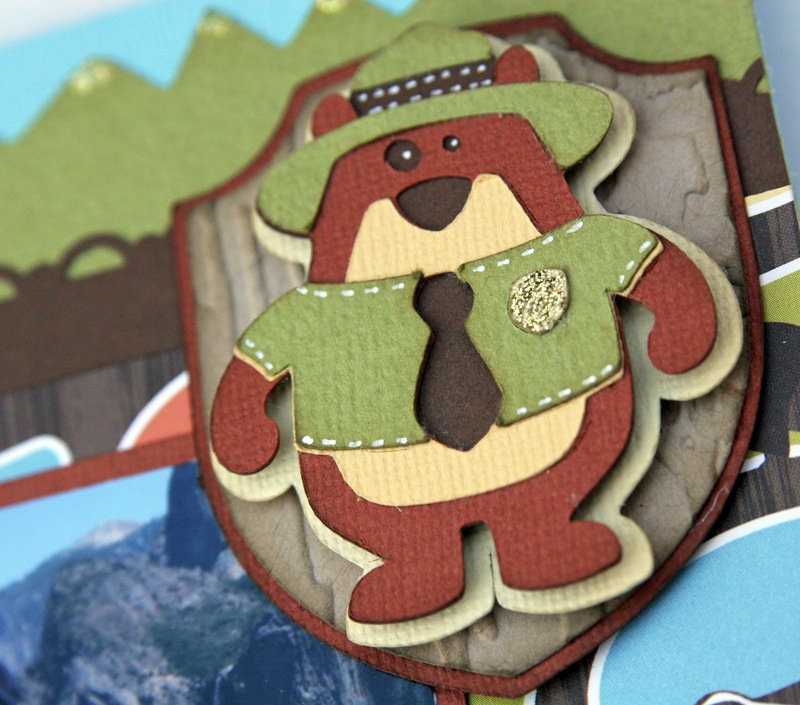 I LOVE what you did with the mountains, that ADORBRABLE bear and ALL the cuts you used! Okay EVERYTHING single detail! LOVE those Tim Holtz things ( LOL) and how you used Emma's stamps! YIKES ~ there should be a HUGE enabler alert on this post ~ now I have to go to the boutique!! Looks like you all had a WONDERFUL time ~ Thanks for sharing! Your layout is amazing! I just love all of the fun details you added. Plus the colors are fabulous! And great job on getting this done so quickly and even having pictures on it!